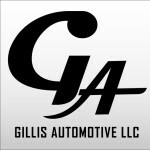 We are a family owned and operated Auto Repair facility in Winter Park, Florida. We service all makes and models, from regular servicing to the diagnoses/repairs of electrical issues. Call and make your appointment today. We keep your vehicles on the road for you. If you like, share and mention this Hookups page you will receive 10% off your next service. If you are a BDM member you will also receive an additional $5.00 off your next service. Must show proof of membership with your car sticker. Remember to tell us the code (TDHOOKUPS) when scheduling your appointment or calling for a quote. The official photographer of A Mediocre Time with Tom & Dan!. 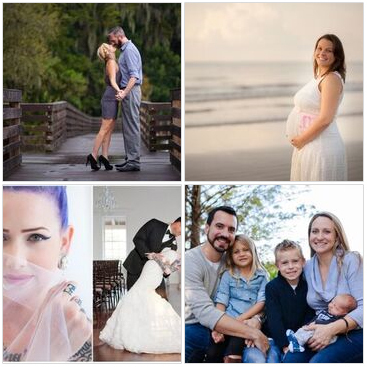 Specializing in Weddings, engagements, Family and event photography. Keep your most precious moments forever. Always friendly and always professional. Hey Tom & Dan listeners! My name is Joe Byrne, a fellow BDM and listener. Your home is your home. If you wanted bugs, you would have invited them. Our job is to get rid of unwanted guests. 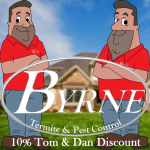 We specialize in termite protection, removal and inspection. From water bugs to bed bugs we cover it all. Live the comfortable life and bug free! 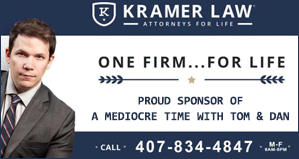 We cover most Central Florida areas. BDM SPECIAL: 10% off all services! Have your very own royalty-free podcast theme written by Andrew Allen! His music is featured on the BDM and Corporate time shows! in the subject line of your commission request! 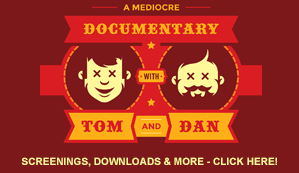 If you are spending all your time listening to the Tom and Dan podcast, we know that you probably need a little help with cleaning your home or office. Someone has to take those chores because we understand how difficult it is to be a scumbag. 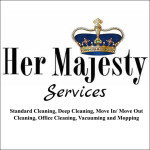 Contact Her Majesty Services for your hook-up! This is a great time for us to show you how we can make your life a little easier. Remember to let us know the code, TDHOOKUP, when requesting your quote! If you mention Tom & Dan you get 10% off your bill or project! We are a State Certified Electrical Contractor. 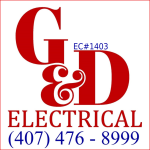 We can handle any and all of your electrical needs. 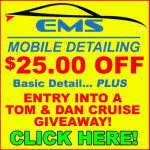 For being a Tom & Dan loyal listener, we are offering you this hook up for our Basic detail for just $99.95. 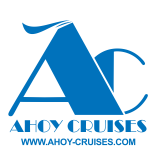 You will Also get an extra 25 entries into our 2019 Cruise Giveaway! We come to you home or work. We are totally self sufficient. We bring our unique Spot free cleaning solution and power source, so we need nothing from you to complete the service. 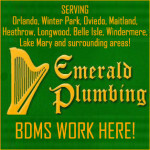 Emerald Plumbing is a full-service Orlando Plumber. We are also the Metro Orlando RePipe Specialist! Nobody touches us for quality and professionalism! Most homes are repiped in one day with drywall completed on the 2nd day. We are the least intrusive plumbing company in town, cutting the least amount of drywall! Serving Orlando, Winter Park, Oviedo, Maitland, Heathrow, Longwood, Belle Isle, Windermere, Lake Mary and surrounding areas. This is the deal, if you are a fan of Tom & Dan we like you already, so what we will do is either take a percentage of what we make (Our personal commission) and give it back to you as an On Board Credit to use as you please on cruises 7 days or longer. On shorter cruises we will throw something in your room, like a squid or some chocolate covered Strawberries. But rest assured with 79 cruises under our collective belts, we will make sure we pair the right cruise for your wacky lifestyle! So either hit us up on facebook or e-mail us, or even better give us a call! The best place to see what we do is to visit our Instagram page. 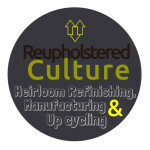 We have just completed the Tom & Dan Studio Reupholstery work and the guys are so happy with the quality and craftsmanship we offer. Now we can do the same for you, for a fraction of replacing good quality furniture, we can give what is old a new beautiful make-over! We are the only Accredited Door Dealer with over 20 certified residential door installers in Central Florida. 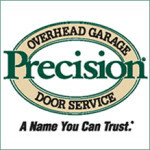 We are locally owned and backed by the national brand of Precision Door Service. We have over 80 locations across the country specializing in residential garage door service and repair. Just google us and you will find thousands of positive reviews. Weather you have a loud noisy door, a broken spring, or you just want to replace your old worn out door… Call Precision Door Service. As the official garage door company of A Mediocre Time with Tom and Dan, we have a special “Tom and Dan Silent Package” which includes a new quite Wi-Fi garage door opener, new rollers, and roller sleeves. Upgrade to VIP Gold and receive your first beer on us!CLICK HERE! Listeners of the show get 10% off any services! 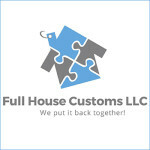 With many years of experience in the industry, you can rest easy knowing your home is in good hands with Full House Customs. We pride ourselves on our timely service and our attention to detail. That is why when it comes to your home, anything less than perfection is simply unacceptable. We treat every project as if we were working on a home of our own. It is our goal to not only meet your expectations but to exceed them. Please give us a call today for we look forward to working with you!